In her work with countless powerful, successful women over the last twenty years, bestselling author and financial educator Barbara Stanny found that most women's problems with money have little to do with money itself, but rather their fear of or ambivalence toward power. Instead of pushing women to pursue financial success in the traditional fashion, Sacred Success seeks to redefine power from a feminine perspective. You can be financially successful without sacrificing your soul or compromising your values. You can have more money, not as an end itself but as a tool for making a difference and helping others. You can create wealth and exercise power by staying true to your feminine traits, authentic truths, and personal mission. 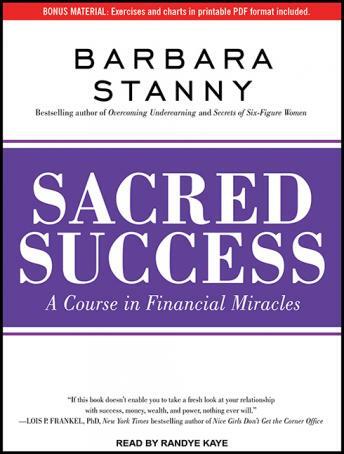 Sacred Success is a tutorial for taking charge of your life by taking charge of your finances, and not only growing your money but creating a deeper, richer, and more meaningful life.